So upon first glance of this cigar, it has a very basic band; no shine, no flashy colors, just a simple eyeless man. But as they say, do not judge a book by its cover as this is a fantastic cigar and a real “eye opener”! (Horrible joke, I know). Anyhow, this cigar features an Ecuadorian Habano wrapper and longfillers from Honduras as well as the Dominican. With notes of spice, light sweetness, cedar, and earthy notes, this cigar is really a solid burn from start to finish. Start your engines my friends as this smoke is a solid right from start all the way to finish line! This beauty is wrapped in a silky smooth Habano wrapper and filled with 4 different long filler leaves. The burn is spot on, the draw is amazing, and those flavors…. Mmmm mmmm good! Creamy, sweet, and just a little bit of spice towards the end delivers an incredible medium body smoke. All of that for a reasonable price makes you feel like you just haggled your way into a Bugatti while only paying for a Hyundai! Kristoff hits the nail on the head with the name of this blend. The Pistoff is mean, and gritty. For the smoker that enjoys a spicy cigar this is the dark alley you don’t mind walking down unsupervised. Pair this with a good rye whiskey you will find a perfect combination to fend off a cold winter night. 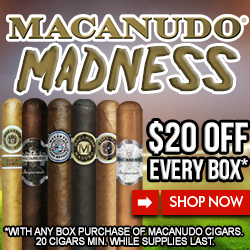 Don’t be too scared off by the spice though as this cigar smokes very smooth all the way through, with hints of nuttiness and toast, and a surprising sweet finish. 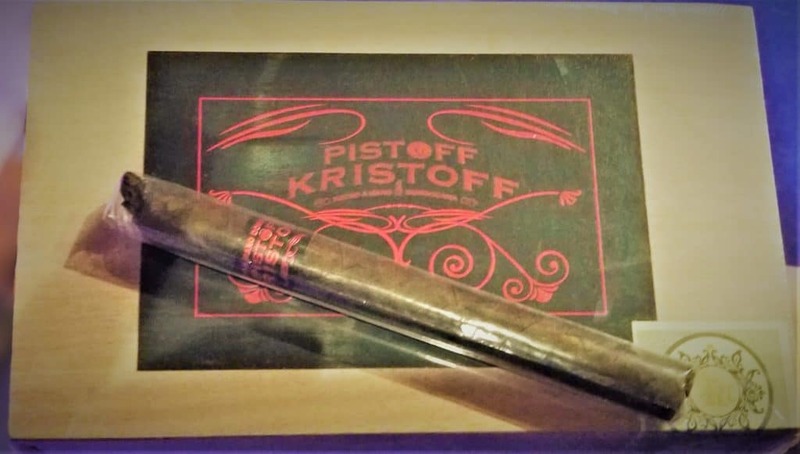 The Pistoff comes in a variety of vitola’s including 660 Gordo (6×60); Robusto (5.5 x 54); Churchill (7×50); Corona Gorda (5.75×48) and soon to come in 2019 the Grand Daddy “Extremely” Pistoff (8.5×60). 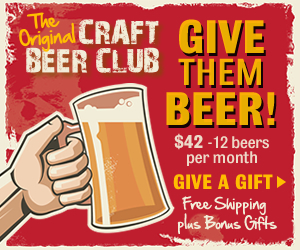 With an MSRP of $8-9 this is very affordable and well worth every dollar. This cigar is a beauty for sure. You see this dark and oily Broadleaf wrapper and just know you are in for a treat. The cigar is filled with Nicaraguan fillers wrapped in an Ecuadorian Sumatra wrapper with a very simple, yet elegant band. As you enjoy this cigar, you will get notes of nuts, cocoa, a little bit of pepper, and a whole lot of YUM! Medium in body but rich in flavor. So do you enjoy a nice medium bodied Partagas cigar? You know, that solid standard they have been delivering for such a long time? Well if you do, this is NOT the cigar for you! This toothy, full bodied, rich cigar really steps up the strength and flavor profiles. The sweet Broadleaf wrapper is just beautiful and features amazing notes of leather, spice, caramel, and molasses along with an amazing burn from top to bottom! It looks great, tastes great, and is priced great, so it just had to make this years list! 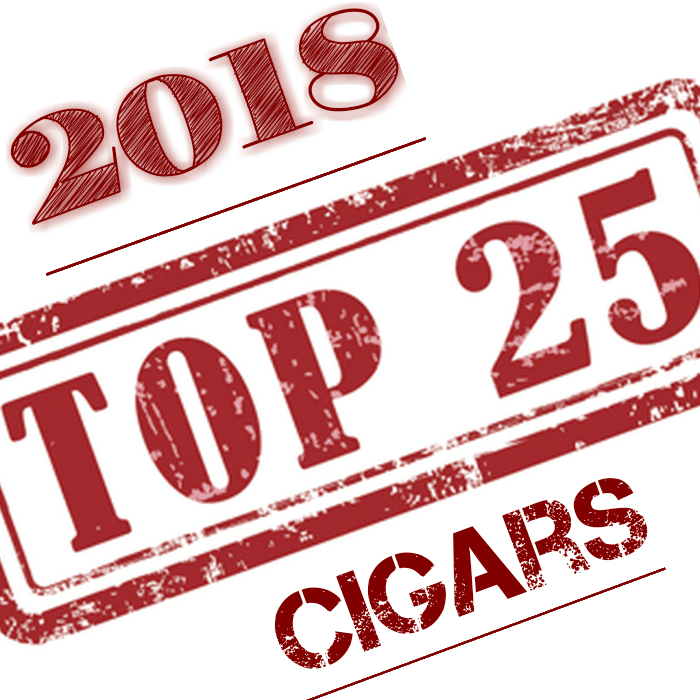 This entry was posted in Cigar Industry News and tagged #brotheroftheleaf, #crownedheads, #partagas, #sisteroftheleaf, botl, bugatticigars, caldwellcigar, cigar smoker, cigar world, cigarafficianado, cigarlife, cigarlifestyle, cigars, kristoff, kristoffcigars, sotl, top25cigars. Bookmark the permalink.